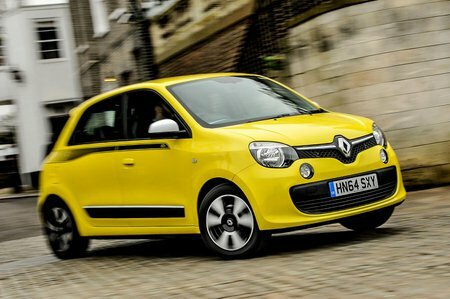 Renault Twingo 0.9 TCE Iconic 5dr Auto 2019 Review | What Car? What Car? will save you at least £378, but our approved dealers could save you even more. This is the most luxurious trim in the Twingo range, with 16in alloys, part-leather seats, a 7.0in touchscreen infotainment system, part-leather seats and a folding fabric sunroof all fitted as standard. It's way too pricey to recommend, though. It may be slightly smaller than the entry-level engine at 0.9-litre, but it gets a turbocharger that significantly improves power and usability. The standard five-speed manual gearbox best suits this unit, since the six-speed optional automatic can be clunky, especially at low speeds.